Finally, Spring has sprung. The weather is warming up and there’s a real energy in the air! It’s at this time of year we often think about Spring cleaning our homes. But what about our businesses? 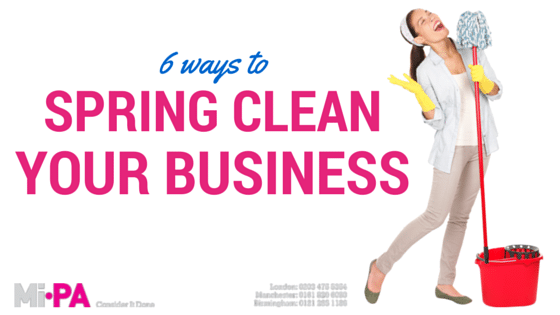 Here are 6 ideas for Spring cleaning your business that will lead to a more efficient, streamlined operation for the rest of 2015. For some industries, archiving information is essential. For others, it’s a habit we no longer need. For years, small businesses have hoarded receipts just for the tax man. Today, with apps such as Receipt Bank that’s no longer necessary. Receipt Bank allows you to photograph receipts and link them to your accountancy software and bank transactions, allowing you to do away with hardcopy receipts altogether.There are also apps for photographing business cards – no need for a Rolodex any more! What are you hoarding offline that could be transferred online? Do you know exactly where your money goes each month? Sometimes monthly subscriptions sneak up on us and before we know it we’re paying for things we no longer use or need. 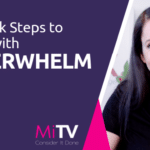 Take time to sift through your subscriptions and weed out the dead weight. Your bank balance will love you for it! Around a third of the emails we receive every day go unread. These are the email subscriptions we once opted in to. Maybe yours consist of updates from software providers, bloggers and industry outlets. Once they were pertinent and interesting. Today, they’re time consuming and distracting. It’s time to dust your inbox and do away with all the non-essentials. What have you got pinned to the wall? Do you still notice it? Is it still relevant? Scan your walls with fresh eyes. Take down anything out of date or irrelevant; move around important information so it catches the eye once again. New locations and views can be great for creativity. And moving the furniture allows you to really inspect what you’ve got hanging around. Do you need it? Can you clean it? Can you create a new look and feel simply by turning your desk 45 degrees? Spring clean your set up and see what happens. For more information call Emma on 0161 820 6080 today! And best of luck with your Spring clean!